A masterpiece! This is the best modern jazz album I ’ve ever listened. 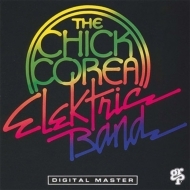 Chich Corea and his partners uses electric musical instruments to elaborate the songs well. I especially like such songs as Rumble, Side Walk, Cool Weasel Boogie, Elektric City, No Zone, and All Love.